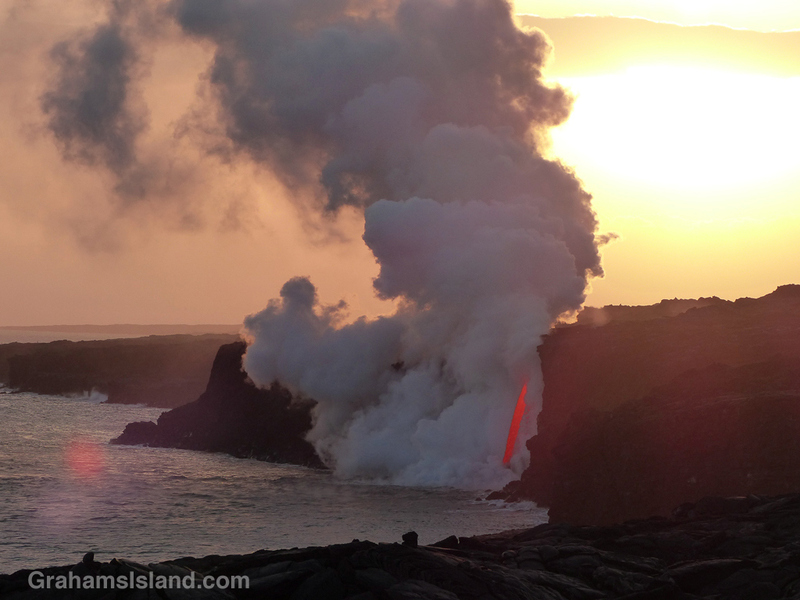 As the sun sinks slowly in the west, a firehose of lava from Kilauea Volcano gushes into the sea. More photos here. A good video of the firehose, since the cliff collapse, can be found here. For more information about Kilauea Volcano and it current eruption, go to hvo.wr.usgs.gov/activity/kilaueastatus.php.